You may have heard the age-old story of the tortoise and the hare. 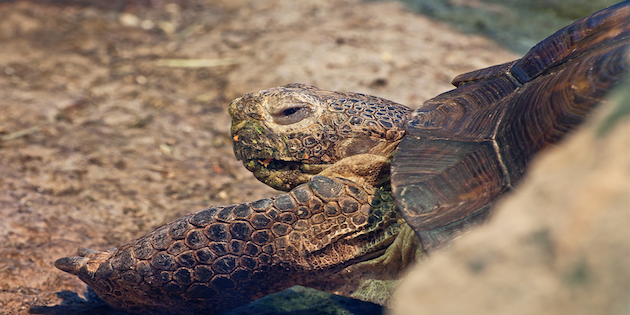 The slow and deliberate tortoise wins the race by consistent (although slow) effort, while the hare, shamelessly over-confident, sleeps away his opportunity. Many online business people are like the hare, relying on the next big thing to get them quickly to the place they want to be. That’s ironic when you consider that the people making the real money on the Internet are the steady performers… the Internet marketing tortoises. Think about this – if you knew the right things to do (the things that really work) and had been doing them since the first week you tried to start making money online how far along would you be right now? What are the things that will help YOU succeed at internet marketing? While the answers may vary from business to business (an eBook author might do different things from someone in Network Marketing) there is a CORE SET of tasks that generally apply to almost everyone involved in internet marketing. There is no lack of information on HOW to do these things. It’s just that most of us don’t do them. By contrast, there are many ways to waste time online. While some of the items below might seem like a good use of time, the fact is that very few of them create sales. Please understand that I’m not saying “don’t have any fun online”. We all need a break and some down time. What I am saying is this: If you are like 99% of people I’ve met, you don’t have enough time to do what you want and your time online is disappointing. The bottom line… it’s just too hard for most people to make money with internet marketing. If that is true for you, then limiting the things you do online, and limiting the time you spend on those tasks, will have a direct effect on both your profits and your quality of life. The comments just echo my experience online and I can say my focus since new years has already produced results I ve worked for for several years. The one thing—-focus/ have a plan and then work your plan. witch I could not process in my 70 year young brain. Sadly I got little to show for my money. help I refuse to give up trying. Thank you for being a member. And thank you too for not giving up! That’s the right attitude! The time is the essence as you said before. Only the will to succeed is not enough. it is a forget it situation! For this reason I feel privileged, despite some setbacks and discouragements, to have the will, the skills and the precious time to keep at it slowly and focus like the tortoise. Being granted by God the ability to learn is a privilege we should honour. Charlie: Loved your article. I’m a Chiropractor in College Station (Hi Neighbor) who has been on the lookout for a “Charlie Page” for the past 9 years. My website has been marketed by a “professional” Chiropractic Marketing Company for the past 6 months at an ungodly amount of money monthly and had nothing but problems (wrong addresses listed, incorrect phone numbers, search engine inconsistencies, etc). With Obamacare NOW a reality (Government control of my profession), its time to use my primary skill (and passion)—-WRITING—–and begin the process of transitioning to my next career: Internet Value Creation and Trust Building. My question is “Which of your THREE products (DOE, Follow Up SS, CS Blogging) should I purchase AND UTILIZE to begin this transition?” Being an overachiever, I’d like to have all three, however I’d like to FOCUS my time and energy on ONE….at least initially. Your recommendation would be appreciated, Sir. Love your advice. When I first got started marketing on web, I had a clear focus on what I wanted to do and then I got off track with all the newest, easiest and most exciting way to Internet riches. I had to step back, refocus and really learn how to market. I appreciate your website, emails and blog. Thank you for being here Robert. I think we’ve all suffered from what you describe. The good news is that you stepped back and refocused. That one action alone means to me that you can’t help but succeed online given time and the right direction. This all rings so darn true. Going back to 1997 when I began the methods were different but the vibe was identical to today. So much time learning how people made websites. Seeing how people hid white anchor word spammed text behind a white background (so the spam was only visible if you right clicked and dragged your mouse across). Every permutation of the same phrase, lots os slight mis-spellings of the same word over and over again. Another big one was the “ring” A lot of sites in my niches (which in 1997 was “shoes” and “DIY” were part of “web rings”. They all had a little logo “Click here for the next site on this ring or here for a random site”. That idea died a death once Google took over and decided that rings of that type were no good. Even today it’s a task to stop myself spending too much time reading junk, chatting on Skype or playing Microsoft Hearts. The point that you need to see most of what doesn’t work before you stumble on a method that works for your skill set rings so true though. The real success stories get that down to weeks rather than months or years and can adapt when they have to. Thanks Paul!. It’s always interesting to get the perspective of someone who has been doing this for so long. Again, just good ole plain, practical advice. I wish I had a dime for minute I’ve spent on the internet doing almost everything you covered on your list at one time or another and accomplishing nothing of real value. Good article. We’ve all been there! I’m happy you enjoyed the article. If it saves you even 5 minutes of wasted effort it will have been worth every minute I spent writing it. Thank you for some great insight, and as a VERY new person to internet marketing, I could learn so much. There is always a new bright shiny object to look at, but the challenge is to figure out what to put together to get a plan to focus on even as a long term ‘tortoise’ strategy. Without background to assess what to look at and what is a time waster …………. it can be hard to find the true honest path. Welcome Valerie. Thank you for your kind comments. Just the fact that you know to avoid shiny objects puts you ahead of so many who are still struggling. Good for you! I found your article quite enlightening. I have been attempting to start up my internet business for several years. While I might have covered most of your points during my adventure, to read them all in one place was surprising. I just want to thank you for taking the time to lay out the process and for providing food for thought as to what to do next to succeed. Thank you! You’re welcome. I’m happy you found it helpful. I’m definitely a tortoise, as it’s taking me almost 15 years to get anywhere, LOL. But this article does help me see where I can and should focus and UNfocus my efforts in my particular situation. Thank you! We all move at different paces. But the main thing is to keep the main thing the main thing and avoid distractions. Until you put this on paper, I’ve never realized exactly how much there was to to. It is truly amazing as to what’s involved in trying to be a internet marketer. The key is to make a list of activities that are important in your world and remain focused on those. My list is just a list of what can be done to help get the thinking started. Thanks Charlie. True to yourself, this is yet another honest attempt to direct us on the correct path of making money online. I too have been struggling for the last two months or so with information overload. I must admit, that your articles and information have given me solace and helped me settle down somewhat in this hectic mental struggle. Thank you. Another thing Charlie, you always harp that you dont promote any product that you have not owned and tested. I know this is true, knowing the gentleman you are. But please tell me how practical this would be for guys like me who intend to engage in affiliate marketing, primarily, and it would not be very viable, I suppose. In such case how can we write (at least ) the reviews honestly. I am sure you understand what I mean. Thank you for your kind words. I’m happy the information I provide is helpful. As to the affiliate marketing question – if you establish a set of core products you do use every day (web hosting, autoresponder, etc.) and begin sharing information about them that will lay a foundation of trust with your audience. After that, you can either promote things you don’t buy and disclaim that (I did that early on BUT I always knew the source well) or not. These are judgement calls we all make over time. Another factor – if you build a list that responds well to you you will be in a position to ask for a review copy (some will, some won’t) or for cooperation in some other way. Only you can decide if you will promote things you don’t buy or not. I know that it is a very great luxury for me to be able to do that, and know too that not everyone has that luxury. I am not saying it is absolutely necessary to do the same – just saying it is more effective as a strategy and serves readers better in my view. Hi Charle – The real tortoise is back! – Loved your latest article and have a couple of little digital gifts for you that I am building into my slow marketing routines – http://onyalist.com/DOE/eezypeezy and http://onyalist.com/charliepage/eezypeezy – – – Enjoy! Greetings to Hope and your team. Thank you for your kind words, faithful readership (and membership) and for the sites you built. I’m honored. The time wasters is the best part of this as I have been guilty of this a long time. I am getting much better as I have unsubscribed from so many accounts and I am able to discard so many emails that I used waste time reading. I am still not at the point of letting go completely and taking the plunge but I am close.. Letting go completely is not really necessary in my view. But setting aside a specific time, and specific amount of time, to process email helps so very much. I need a coaching coarse that will take me step by step from website building (small one) to word press blogging and article writing and email marketing. What class are you offering to help me achieve my goals? Thank you for asking. For building sites I have Common Sense Blog Blueprint and for email marketing I have Follow Up Selling Systems. If it is still being offered my Total Freedom Package is by far the best value. It was only after I cut out a bunch of news letters and un-subscribed from a lot of so called guru guys, that I begin to focus on the things it take to do this business. I am just beginning to see some real results. Thanks for all the good info and help. That works for sure. Another method is to have two email messages (one for marketing and one for personal) and check the marketing address twice a week. That’s how I do it. What you say always helps, you’re the best, you give the most. Charlie, am an SFM (Six Figure Mentor) member I join about a month ago. I want to start marketing my SFM with your services and as a professional in this area what will you advise that wont cost me much as a starter, willing to sell and grow. Also what services with advantage will you recommend that i subscribe to. I await your response. I can’t make very specific suggestions without knowing much more. But I would say this – focus on building your list and let your follow up system do the work of selling. You are running a site developed by experienced marketers and branded to you, which should mean your conversions will be high since they should have tested, and refined, the system. Yep, I’m guilty of being a time and money waster for 3 years since I started. 2010-2011 – Do above again, become brain dead with overload! 2011-2012 – Cut down, learn to build 2 websites that are too much trouble (calling tech support to fix problems). 2012-2013 – What am I doing! Do email dump to spam folder, just keep certain marketers. Getting tired of websites, but learned a lot. 2013 – Scrapped 2 sites, rebuilded a new streamlined site using plugins to make one site look as 10 sites. Have more control, costs less and working well. Decided to become a lifetime member of Follow Up Selling Systems (all ready have lifetime on DOE), and working with Charlie Page! I’m on track finally! Don’t get me wrong, but until you go through all this and learn about whats involved in internet marketing, it will make sense, And never give up! Thank you for sharing those details Barry. So many follow that same path but never get to where you are now. I’m happy you are getting traction now. Good comments. If you don’t have anyone to help you identify, and overcome, the “oops” then you might want to pursue finding a mentor. No need for you to suffer through a learning curve alone. Amen to that! Between that idea and the Day Before Vacation method the sky is the limit! Thank you Charlie. These words are precious to me. I have made copies, increase the size of the words and stick the two pages on both side of my computer. I am convince that they will help me. My regards. Thank you for your kind words and taking time to share them. Great information some of the things mentioned I know and others are new. You always have helpful articles that add great value. As always you are on the top of practical theme. Very well put Charlie. I hear a lot of people complaining about the $20 Internet marketing course they bought not being worth squat. And I really feel that is because no one should be that gullible to think they can purchase a business on or off line for $20. If you read the whole course, I find most IM courses are worth way more than an offline traditional $20 book, especially now-a-days with all the bonuses being added as incentive to buy through one affiliate over another. You can learn some cool tricks of the trade and online short cuts from these gimmicky tutorials. Any new player is going to have to buy some bogus courses to get a heads up on what is trending and what has been working for a long time there is no other way. You have to start learning and implementing things then you find what works for you and add to that. Heck if you have never done anything on tumblr then a $9 course is a cheap way to cut through a lot of drivel and get a nice start on how to maximize your efforts on that new platform. Honestly, I feel most of the info to succeed is posted somewhere for free but we don’t have time to find it and study it. I also think you can do everything yourself for free too if again you have the time to be online and create links and leave comments on blogs and Tweeting and emailing and posting on your own sites fan pages and blog. The point is you can not do it all alone correctly. You also need to have a real business idea to make money on or offline! You can not buy 3 courses then right your own version and sell it for millions right out of the box! You have to master some of these techniques yourself and that takes time, trial and error, practice and determination. I have heard people say everyone of Charlie’s core values is a waste of time to pursue. Their reasoning is that it is too much hard work to succeed by blogging or writing articles. + you’ll go broke with PPC and placing ads in ezines. Business online takes hard work! For many it is harder than offline! But if you like the benefits of being your own boss then it is unbeatable. Pick one of the above core skills and start then tweak your methods so it is easier and you are faster and more efficient. Any of those skills will be beneficial to you even if you forget all about the project you want to start today, for years to come. The secret is to master one thing at a time then apply that to everything else you know, buy a few services if you have to and stick to a plan so you eventually have something grand and worthwhile. Interesting thoughts Stu. I appreciate you taking the time to share. Thats totally true, i first started online when you first released the DOE 2.0 trough an ad that Vick S had he was promoting the Doe and that was the first time i look online to make money and since then ive been jumping and jumping and believe i have learnd a lot but still never made a sell on anything. Because ive been doing the opposite of the turtle… For the first time i decide that im going to lauch my first website cause i have a huge idea and this time im going to follow the turtle. Thanks a lot Charlie i know that u r one of the few that can be trusted. Excellent! I look forward to seeing your site when it’s ready. Thank you for your comment Fred. It’s always good to hear from you. Thanks Charlie! I gotta say this is your best article ever. Just the plain simple truth. I’m gonna make myself read it every day. Thanks Kevin. That means a lot coming from a veteran like yourself. Always makes me happy to hear from you.